It would appear that the world as we know it has regressed in who and what we find “admirable”. Think, if you could follow those who you idolize one social media home, what would find? Or rather, who would you find? To be instafamous has clouded the minds of millions, who turn the button green as they race to follow and show their adoration to complete stranger. Model, director, manager, publicist: all in the bio of someone with no formal education and no connections in the fields that they have arbitrarily deemed themselves a member of. When in reality they are ordinary people like everyone else. Yet, they have climbed the mountain top of fame by posting a few pairs of louboutins and their seemingly endless turn ups. To admire someone and patronize their work is the highest form of flattery you can offer to anyone. But, to follow someone blindly and envy the life they lead through pictures and post on social media as you drown in the despair you feel in your own life is ludacris. Too often, individuals get caught up in what they see, and not what they know. Everyone has that friend who is quick to defend a perfect stranger and list all of their accolades. No one saying be a hater, but in the age of “putting on” don’t be lead astray and undermine your existence for someone who sleeps on an air mattress. Don’t knock the hustle, but don’t find a role model in someone who can’t see to their own physical and emotional needs. This is all to say, everyone is not worthy of your admiration and devotion. Don’t be one of the 50k casting their pearls before the swine. 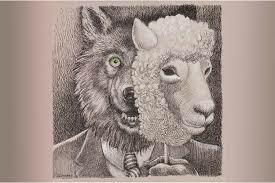 Be careful who you follow, be aware of who you adore, and mind that you are not lead astray by a sheep in wolves clothing. May the truth come to the Lite. This post was written by Reginald Calhoun. He is a junior Mass Media Arts major at Clark Atlanta University. Follow him on Twitter @IRMarsean and on Instagram @Les_geaux_jawn.